I have not posted an entry during the whole month of June. I will try to do a little better this month. On a trip to Gettysburg National Battlefield last month I was able to get images of a few memorials and battlefield scenes. I processed them using Nik Silver Efex Pro sepia toning to fit the character of the past. 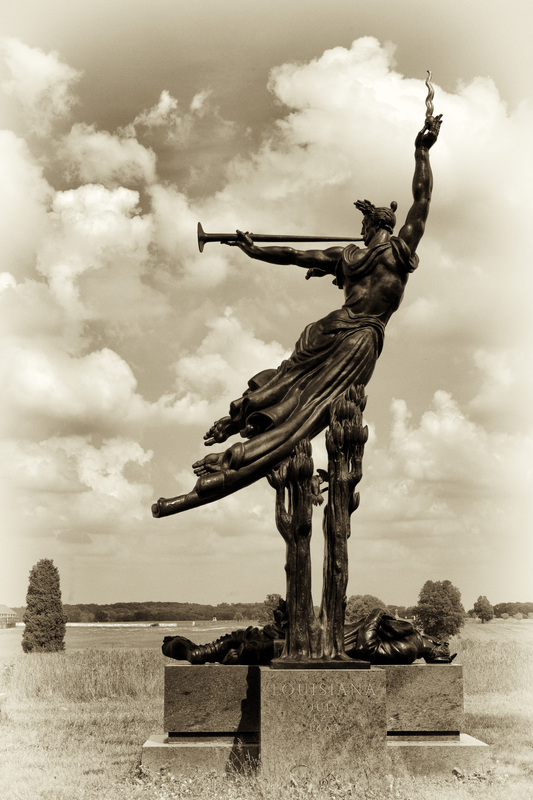 Louisiana had approximately 3031 soldiers engaged at the Battle of Gettysburg. 724 of them were casualties for a loss of 23.9%. This percentage placed Louisiana 22nd in rank of all the states that had soldiers at Gettysburg. 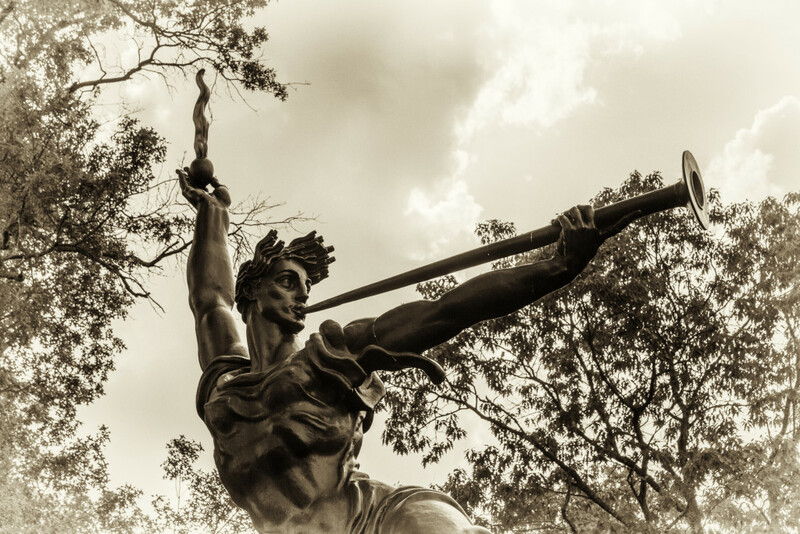 This entry was posted in B&W Photography, Sculptures and tagged Gettysburg, Louisiana Memorial, sculptures on July 2, 2015 by kgrafphoto.